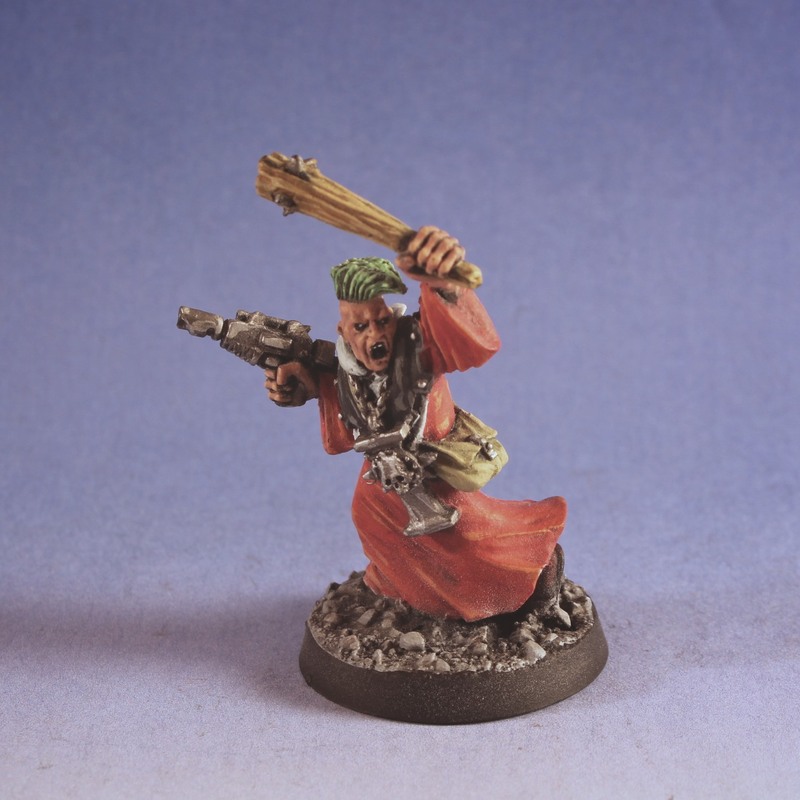 The last of the Inquisitorial Kill Zone team images are up today. Towards the end of 5th edition 40K we played a lot of Special Operations Kill Zone. 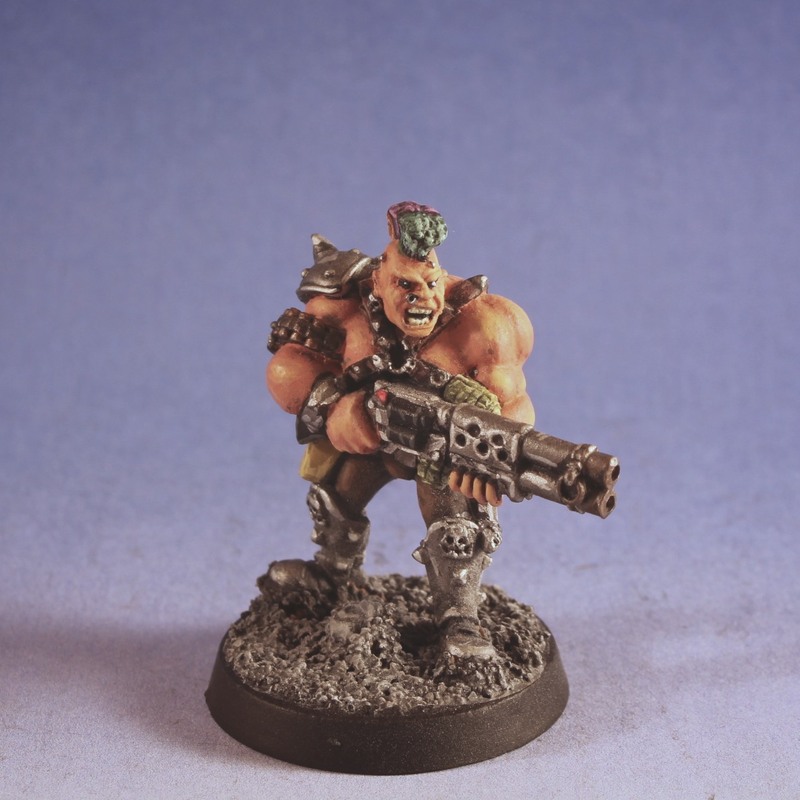 The games were great fun and people who didn't ever get much gaming out of 5th edition were able to pull some old models off of the shelf and get some games in. Its good to hear that Jim has 6th edition Kill Zone in development as we are sure to play! Before I get into the pictures, the blog is featured in Faeit 212's Blog Roll today. Thanks for the push and welcome anyone that makes this blog a regular read! I always follow anyone who follows this blog and try to interact with them as much as possible. Today, I have henchmen of the Inquistor's service. 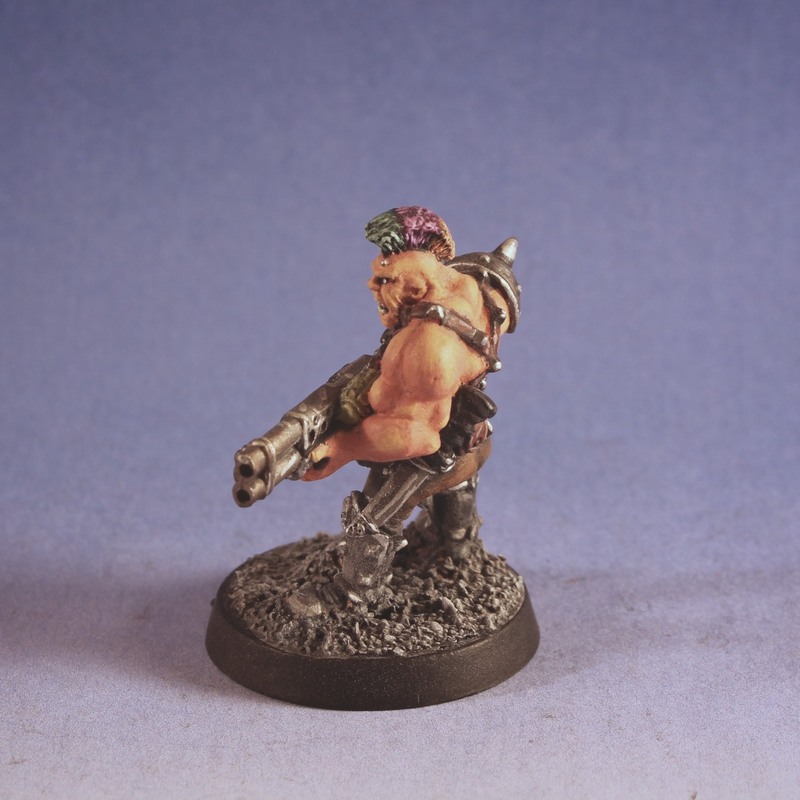 This was actually one of my first models when I started getting into miniature gaming. The Necromunda Goliath models are great for this. The model was stripped and repainted a few years ago, but now is added to the ranks for when I need a few extra bodies on the field! 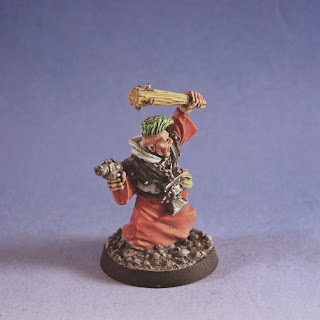 Below is an old school Acolyte sporting a club and a lasgun, you know the obvious weapons of choice in the far future of battles! The model was one of my first Inquisitor type models and still one of my favorites. I am busy working on Chaos Space Marine Nurgle and Death Guard (Horus Herasy Era) armies as we speak. Soon, I'll have pictures and stores to share!